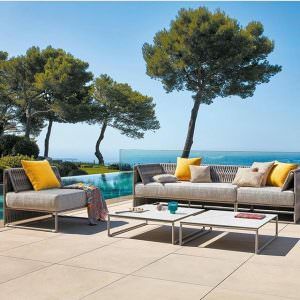 If you’re looking into outdoor furniture this spring, chances are you’re going to read about Sunbrella fabric. While Sunbrella fabric may seem new, it has been in fact proving its performance for over 30 years. 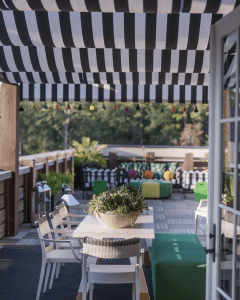 At first created with the idea of finding a better solution to cotton for awnings, uses of Sunbrella fabric has been rapidly expanding to shade structures, marine purposes and all kinds of indoor and outdoor applications. Because we want to offer what’s best for your hot tub, you can now choose a hot tub cover entirely made of Sunbrella fabric. Highly durable, the fabric is water, mold and fade resistant, as well as easy to wash.
Why is Sunbrella Fabric so Good? 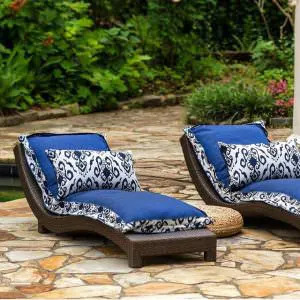 Before you can decide on whether or not you’ll opt for a Sunbrella fabric for your patio furniture, hot tub cover, boat canva, indoor couch or awning, you will want to know what is the big deal about this material. As we want you to make smart decisions, we listed here the main advantages of Sunbrella fabrics. The other principal reason for choosing Sunbrella fabric is that it is water, mold and mildew resistant. 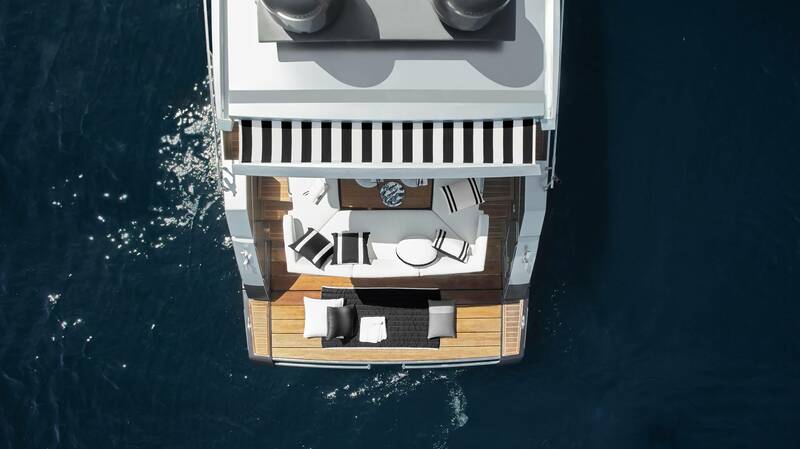 Pretty convenient for awnings, hot tub covers and boat canvas. Sunbrella is made from acrylic. Being a plastic, it is less likely to absorb water and to leave stains. 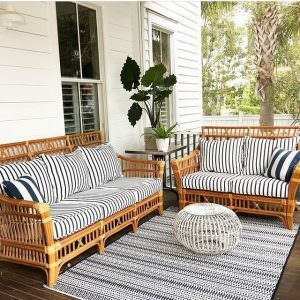 While it is always recommended to clean the fabric before storage to avoid mildew, it is also safe to leave the furniture outside for a long period of time. Designers love to work with Sunbrella fabrics because they are available in hundreds of gorgeous styles for indoors and outdoors. No matter the style of your home, you’ll be sure to find something that fits your needs and tastes. In fact, it might even be hard to stop your mind on only one choice. Sunbrella fabrics are so flexible that you could make an entire outdoor room looking as if it was indoor. Let’s be honest, few people clean their outdoors (and even indoors) furniture often. But with Sunbrella fabrics, you won’t even have to worry about it. They are the perfect choice for families with kids and pets. The material isn’t porous, what makes the liquids pearl upon the surface. Which is one of the reason why it’s so easy to clean. While acrylic isn’t an ecologic material, Sunbrella has succeeded to reduce the environmental impact of the entire lifespan of the fabric. During the fabrication process, the water and energy waste are minimal. And because Sunbrella fabrics are more durable than other fabrics, they are more likely to be thrown away within just a few years. In addition, they have their own recycling program where they bring used Sunbrella fabrics to manufacturers who transform it in other industrial materials. As we already said, Sunbrella fabrics can be used in a variety of applications, from indoor furniture and patio furniture and cushions to boat canvas, awnings, hot tub covers and more. You can even make your own projects with Sunbrella fabrics, like this perfect for the summer hammock. Your primary concern when you’re looking into patio furniture should be comfort, right? You probably think that something so durable and tough through all kinds of weather wouldn’t be comfortable enough to sit an entire evening. Don’t be fooled. These fabrics are engineered with comfort, flexibility and design in mind. They can be as comfortable as any other materials, in not more. 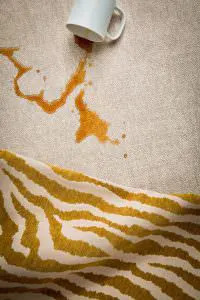 Of course, a fabric made for marine purpose would not fit well on your couch, but there are lines adapted for every uses. How to Clean a Sunbrella Fabric Product? Can you Pressure Wash Sunbrella Fabric? For heavier cleaning, the pressure washing is the solution. The pressure washer is used to remove the heavy dirt off of the surface of your product. This highly satisfying video will show you the entire process of the cleaning. Sunbrella fabrics are awarded with the GREENGUARD Gold Certification, the OEKO-TEX label, the Skin Cancer Foundation Seal of Approval and is FACTS certified. GREENGUARD Gold Certification : Sunbrella products contribute to a healthier indoor air because of their low chemical and particle emissions. OEKO-TEX label (class II – products with direct contact to the skin) : Sunbrella fabrics are made with no identified harmful materials for the skin, health and environment. Skin Cancer Foundation Seal of Approval : the foundation recommend Sunbrella has a part of a prevention routine against sun-induced damage to the skin. FACTS Certified : Over 50 Sunbrella pattern are FACTS Certified, which means that they has been evaluated and well noted for environmental, economic and social aspects across its life cycle. Sunbrella also has certifications that demonstrate their engagement towards a more sustainable and responsible management. Sunbrella Fabric Covers : How Much do they Cost? After reading all the good things about Sunbrella fabric, you are probably wondering how much does it cost. When you choose your hot tub cover on our website, you can upgrade it for a Sunbrella fabric for an extra $99,99. This option is only available in the US for now. You can choose between three different colors. So for only $99,99 you’ll get a brand new hot tub cover, with amazingly high performances. And with proper care, you’ll be able to keep it years longer than other fabrics. What Color Can I Choose From? The colors available at the moment are Rust, Charcoal and Brown. These 3 colors can match any of your spa designs. As Sunbrella fabrics, they will keep their bright color without fading through the years. They will resist to direct sunlights, rain and wind.